Hot off the release of his No. 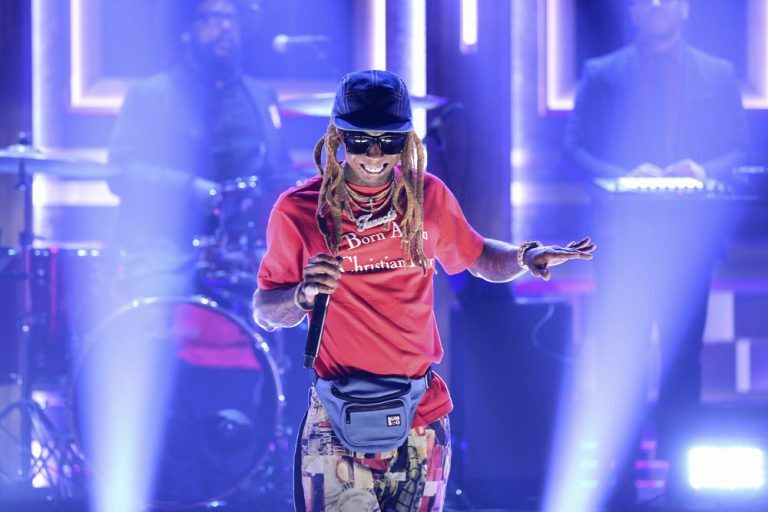 1 album Tha Carter V. Lil Wayne stopped by The Tonight Show starring Jimmy Fallon on Tuesday night (Oct. 2) to perform his album single "Dedicate" for the first time. "Tha Carter V," which features appearances by Snoop Dogg, Ashanti, Kendrick Lamar, Nicki Minaj and Travis Scott is projected to move around 450K units in its opening week. Watch Weezy chat with Jimmy and perform with The Roots band below.